In terms of getting Wrigley Field crowds over to Lakeview for some celebratory grub, the L’s a pretty effective means of transportation. But when it comes to jetting off from a romantic afternoon at the Point with date #1 to a way-less romantic Lincoln Park Zoo afternoon with date #2 -- or even leaving the city entirely -- the average mass transiter's kinda sunk. That’s where Zipcar comes in. This alternative to rental, ownership, and hitchhiking offers cars, trucks, and vans by the hour or day, enabling members to do anything from moving heavy furniture to actual fun stuff like the fantastical day-trip ideas listed below. Need more incentive? 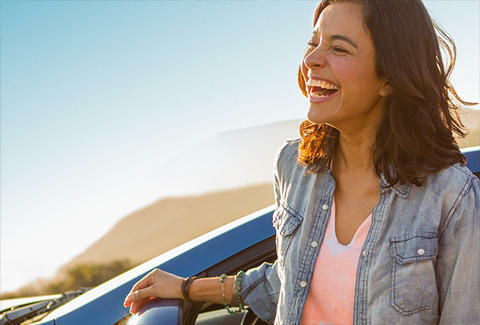 Members of the car-sharing service not only get gas, insurance, and maintenance included, but they’ll never have to worry about paying for corrective surgery on their eardrums after listening to some dude play a saw with a violin bow. Nice.